The Depot’s 2018 production of Always…Patsy Cline is dedicated to Craig Johnson. As you might have heard, The Depot Theatre’s 40th Anniversary Season will open with a super fan favorite from the past 39 years, Always…Patsy Cline. What you might not have heard is that this year, the drumbeat behind Patsy Cline’s famous songs will resonate a little bit deeper than in past years’ productions. 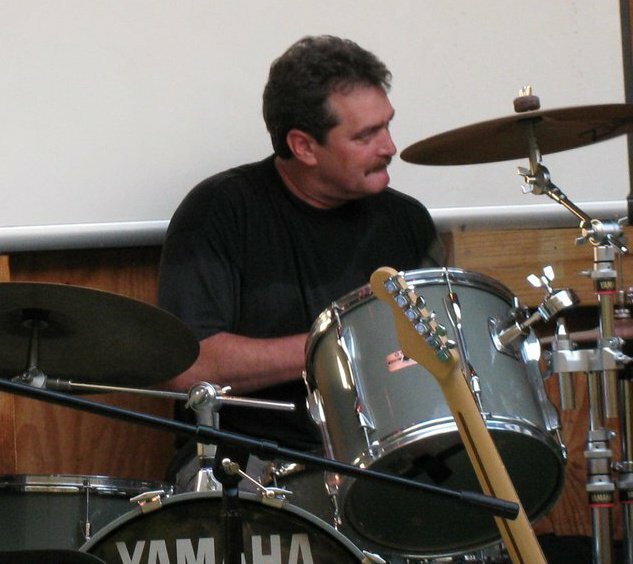 According to his wife, Tammy, Craig absolutely loved playing on stage at the Depot – it was his favorite gig. She has donated some of Craig’s drums and percussion accessories to the Depot, where they will be lovingly played on stage this year and for seasons to come. The Depot Theatre’s 2018 production of Always...Patsy Cline is dedicated to our friend Craig Johnson. His on-stage presence will be missed, but the spirit of his talent, dedication and gentle kindness will remain forever present. 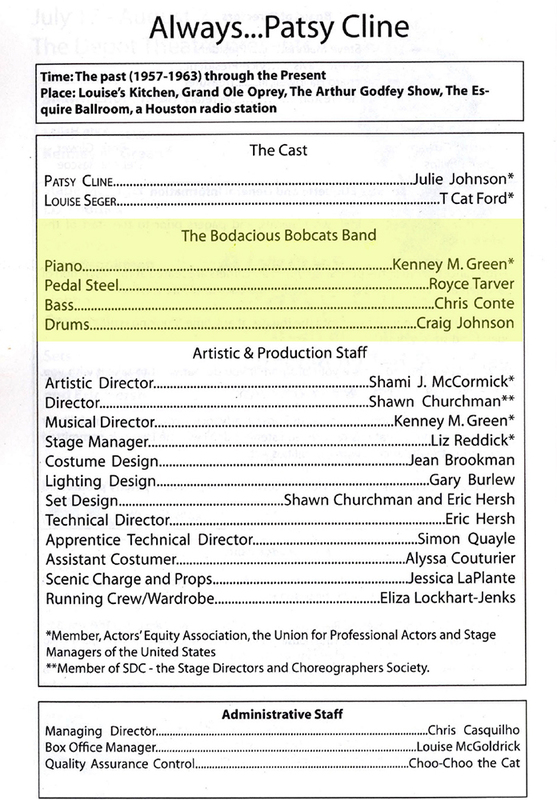 CLICK HERE to see the Depot’s entire 2009 Always…Patsy Cline Playbill! Posters Galore Cast announced for BRTF Junior program production of Willy Wonka Jr.